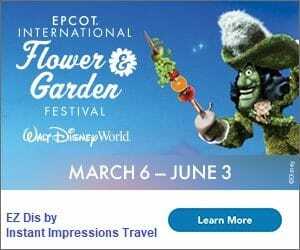 Year after year, since 1997, springtime visitors to the Walt Disney World resort have come and gone and had wonderful vacations, many of them completely unaware of the extra fun they’re missing at Champion Stadium at the ESPN Wide World of Sports Complex. Champion Stadium has been the Spring Training home of the Atlanta Braves since it was built. 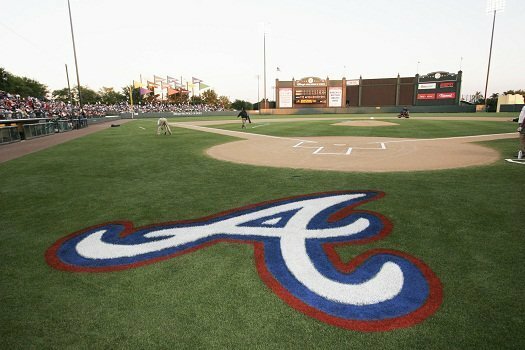 Just as fans of any other Major League Baseball market flock to their club’s Spring home in hopes of catching an early glimpse of their beloved team – and very often as an excuse to catch an early glimpse of the sun and some warmer temperatures – Braves fans show up in droves. One of the most unique things about this venue though, is that with its proximity to the vacation kingdom of the world, fans of every team are never too far away! But what about if you aren’t a Braves fan? Or any sort of baseball fan? It’s no secret that Springtime at Walt Disney World can often be crowded. Thankfully, there are countless things to do to keep the whole family busy without waiting in long lines from dawn till dusk. One of our biggest tips for families has always been to factor in downtime – even if it’s not a quiet, dark nap time in your hotel room, and even if you aren’t trying to do a marathon 15 hour day at the parks. No matter how many times we’ve been or how leisurely our days may be, young kids (and their grown ups) almost always benefit from leaving the park for an hour or three. If your kids are old enough that they won’t really nap, this is a nice place to escape. Annual Passholders can also get special pricing and exclusive events. Check out the details here! There’s not much that needs said about that: seeing Mickey (or Darth Vader!) at a Braves game is just too cool! Keep an eye out for hidden mickeys, too. Attendees can line up for autographs before and after games and practices. Throughout the season you can also catch practices on any number of fields at the WWOS complex, and can experience some really unique interactions from both major league and minor league players! For details on how and where best to find these cool opportunities, check out this great Talking Chop article. It’s a few years old, but still holds up. Enjoy a fireworks show after every game, whether the Braves win or lose. Expect the same customer service from Cast Members as you would elsewhere on property, and an extremely kid-friendly atmosphere… but with plenty for the adults, too (including barbecue slaw dogs, craft beer stands, and more). Explore the detailed, picturesque Spanish Mission style complex before or after a game, or to stretch your legs. 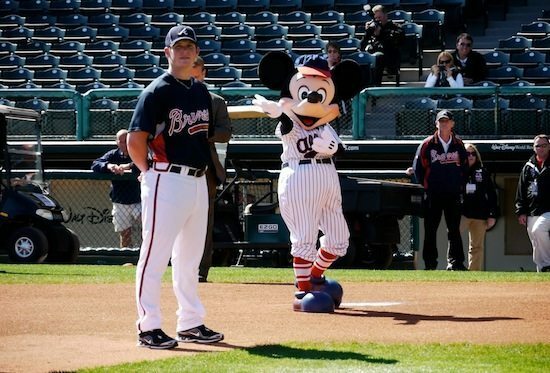 And of course, don’t forget your unique Braves spring training Disney merchandise! Seating options include chairs, bleachers, or the lawn. Children 0-2 can enter for free, if they’re sitting on a lap. Tickets are available through Ticketmaster or at Disney’s Wide World of Sports, subject to availability. WDW Annual Passholders have access to a Passholder suite for select games, including a full buffet and on-field opportunities. Get info at 407-WDW-GAME. The fastest way to get to Champion Stadium if you don’t have a car is via taxi or Uber. If you want to take the complimentary Disney transportation though, be advised that it is limited. (Read why we always have a car, here! )Busses to the Wide World of Sports complex leave from All-Star Sports, Caribbean Beach, and Pop Century resorts, very generally between 5pm and 11pm or around game times. You’ll need to check with staff at those hotels for an exact schedule on the day of your game. You would then take bus transportation from any park or Disney Springs to one of those resorts, where you’d catch another bus to the complex. Make sure you leave plenty of time! The Braves dugout is always along the first base line. Gates open 3 hours before scheduled game start time. Snack-sized food and unopened, bottled, non-alcoholic drinks can be brought into the stadium, in moderation. The staff has the right to ask you to dispose of it at their discretion, but I’ve never seen it happen. Just be reasonable. 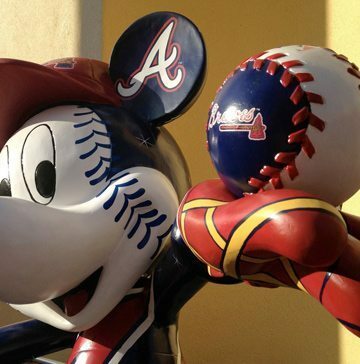 It does look like this may actually be the final season for the Braves at Disney’s Wide World of Sports… so don’t miss out on such a fun opportunity while it lasts! If you’re looking to book a trip this Spring – or any time this year – check out the services from Ez Dis (with my referral code DL19!). 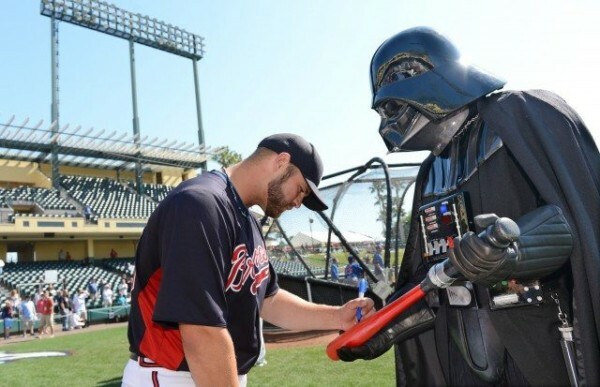 It doesn’t cost you a thing, and their agents visit Walt Disney World more than anyone I know, to make sure they’re as up to date as possible on all the fun things being offered – like Braves Spring training! I’ve always wanted to go to Spring Training but never have been. I will try and make a trip when my Yankees are in town. Unfortunately there’s not too much interleague play in spring training. 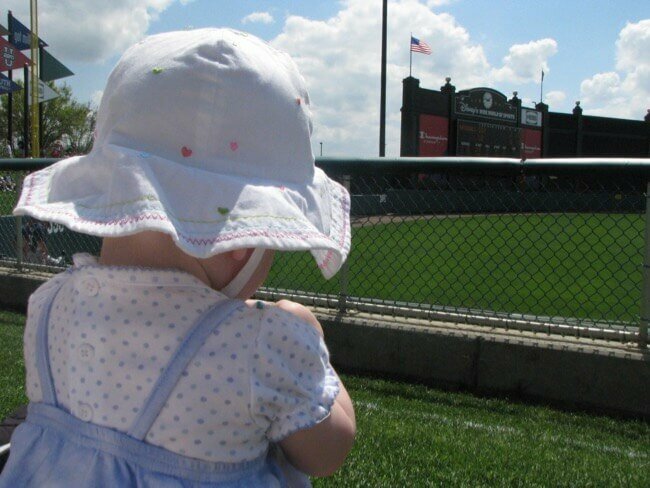 We love Braves Spring Training – in fact that is where my husband and I had our first date. It is rumored that the Braves may be leaving soon from that facility. I hope it is not true but I recommend everyone try to get there before they do. It is that wonderful. I love spring training! 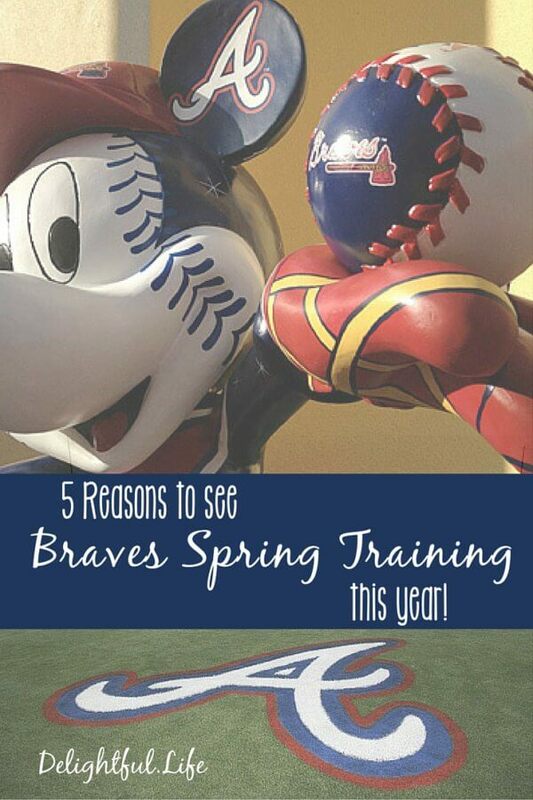 I haven’t been to see the Braves during spring training, though. Sounds like a lot of fun! I wonder if a different team will come when the Braves leave?